Image courtesy of Leigh Gazzard. Favourite activity to do outside of football: Hanging out with mates. 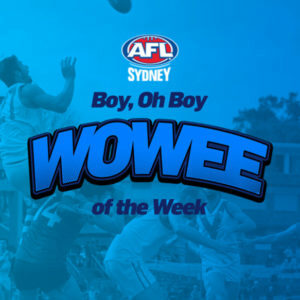 What is one thing that we don’t know about this Rising Star that they are well known for around the club? Having a big carb-loaded feed and watching the footy. What role do they play for the club both on and off the field? On the field he is a rock in defense. Off it he is one of the characters around the club. The night before the game what will they most likely be doing? Hydrating and watching Friday night footy. Do they have any pre-game superstitions? Will always have a bowl of Weetbix and coffee in the morning. Josh played an exceptional game in the backline against Sydney University. With many of our senior back man unavailable Josh showed experience beyond his years to control the defensive unit. In a very tight contest Josh was pivotal to our victory. “You have to remind yourself sometimes Josh is still in the U’17 age group and at school. 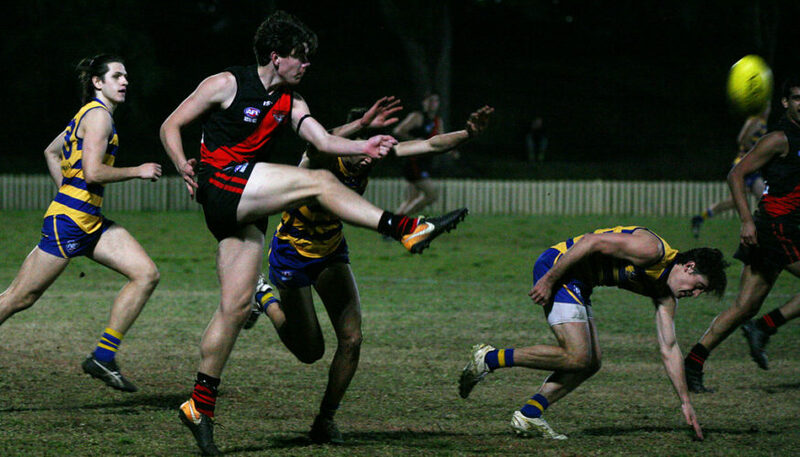 Since his debut this year in premier division Josh has played some great footy both up forward and down back. 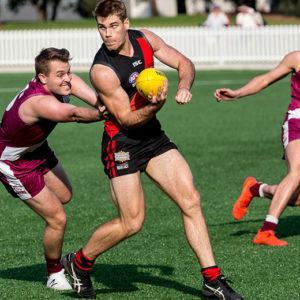 Having made the Allies squad this year and playing Swans Reserves we are really excited about the next 12 months of footy Josh. For now, we look forward to seeing what Josh can do for North Shore as we head towards finals”. Image courtesy of UTS Shamrocks Media. Favourite activity to do outside of football: Going for a swim and a surf. 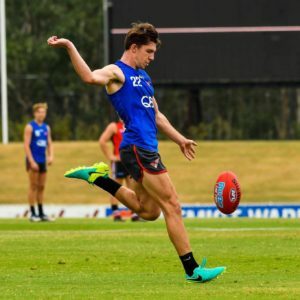 What is one thing that we don’t know about this Rising Star that they are well known for around the club? Pia is known for her dance moves… ask her to show you her Running Man, Lawn Mower and Screwing the Lightbulb moves! What role do they play for the club both on and off the field? 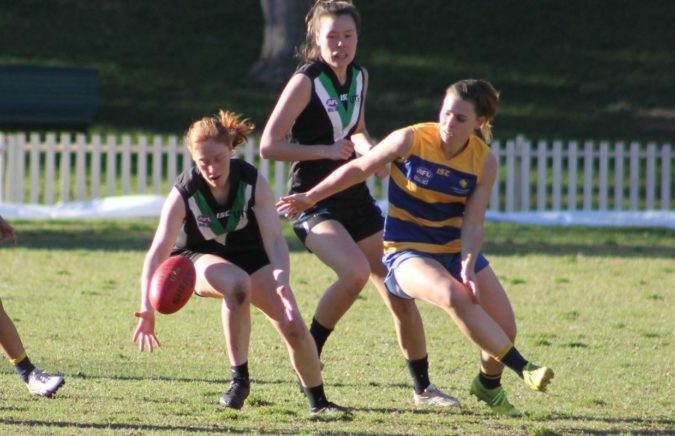 Pia has edged her way into the starting backline for Prems after trying a few different positions in Div2, she is a key player with a lot to offer both on and off the field, She is a regular at training and is continually working on her skill. The night before the game what will they most likely be doing? Probably having a quiet night in. Do they have any pre-game superstitions? Not really, just turn up and be ready and focused on the game. Pia has been nominated by the Shamrocks for her Speed, strong tackles and for becoming a key defender in the starting line-up. “Pia is an exciting 19 year old who is super speedy and can lay strong tackles. Pia was pivotal in our defence against the fast running Sydney Uni helping to shut down some key forwards. 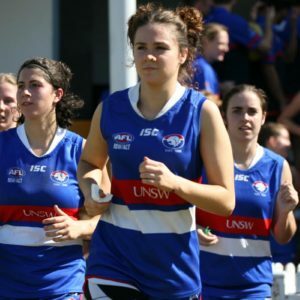 After Pia made her debut with the Prems Team in round 13 she proceeded to be named in the starting line-up as a key defender against the strong top of the ladder Macquarie Uni. Pia has been a stand out in our Division Two side and it was only a matter of time before Pia got a call up to play Prems. The last couple of weeks Pia has easily transitioned to being an important part of the Prems back line. Pia uses her speed to her advantage allowing her to chase down players and lay some strong tackles and she is impressive to watch. Keep up-to-date with all AFL Sydney related news by following us on Facebook, Instagram and Twitter.